Here’s a piece I wrote a few years ago, and which I’ve touched up slightly. In the lead up to Easter, I hope you find it informative and thought provoking. Did you mean to die like that — was that a mistake? Or did you know your messy death would be a record breaker? There are a numbers of ways we could answer the question “Why did Jesus die?” On the historical level, we can say that Jesus was caught between the crunching gears of apocalyptic messianic expectation, Jewish temple politics, and Roman imperial intrigue. On the theological level, there is so much more to say. On the Sunday before his death, Jesus entered Jerusalem riding a donkey to the frenzied cheers of his followers. It was a provocative messianic stunt, aimed at fulfilling the image of the returning Davidic King in Zechariah 9.9. And his followers were not blind to its significance. Their cry of ‘Hosanna in the highest!’ was not an exclamation of praise, the way it is often used today. Rather, it was a slogan. 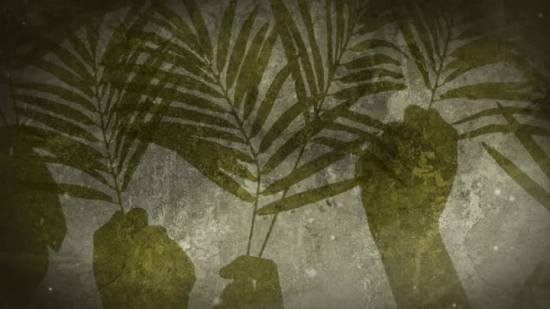 ‘Hosanna’ means ‘To the rescue!’ ‘In the highest’ does not refer to people’s praise reaching the highest heaven, but rather an urging of Jesus to reach for the highest echelons of power in his rescue of Israel. Here was the Davidic messiah coming to his royal capital to overthrow the current order, free his people, and establish the new Kingdom of God. The following day, in a brash act prefiguring the end of the old order, Jesus marched into the temple complex and overturned the tables of the moneychangers and opened the pens holding sacrificial animals for sale. A small riot seems to have ensued. By doing this symbolic act, Jesus was clearly stating that he believed the temple and the authorities that ran it were no longer in favour with God. Time was rapidly running out — the time of judgement and the dawn of a new era were now imminent. Jesus was, in other words, playing the part of an apocalyptic prophet. And by claiming the right to bring the temple down and rebuild it, he was making a clear claim to be the rightful Davidic king of Israel—the son of David who builds the temple and establishes a permanent kingdom (cf. 2 Sam 7:11–13). To the Jewish authorities, for whom the temple was their institutional power base at the heart of Jewish identity, Jesus was dangerous. For the remainder of the week, they worked to arrest Jesus. After trying unsuccessfully to discredit him publicly, and fearing the incendiary riot that a public arrest would spark, they managed to arrest him on the sly by bribing Judas Iscariot, a member of Jesus’ inner circle—one of his twelve commissioners (i.e. ‘apostles’) responsible for the dissemination of Jesus’ claims and for gathering people around him. The arrest occurred at night, as Jesus and his other eleven commissioners were trapped in an olive grove in the Kidron Valley, just outside Jerusalem’s walls. Jesus gave himself up to his captors, and successfully pleaded for the release of his followers, who then abandoned him. Jesus was taken under arrest, questioned and tried overnight. In fact, it was probably an illegal trial, since it was held during the midnight hours within the houses of former High Priest, Annas, and his son-in-law, the incumbent High Priest, Caiaphas. It seems that they tried to pin the charge of treason on Jesus by implicating him for threats against the temple, the institution that stood at the heart of Jewish identity and piety. This would be akin to charging someone today with a plot to blow up the White House. Given events earlier in the week, one would have thought it would be easy to implicate Jesus. However, the Gospels tell us that the witnesses brought forward could not agree, and therefore Jesus could not definitively be found guilty. However, the High Priest, Caiaphas, used another strategy. He asked Jesus if he was the Son of God. In asking this, Caiaphas was probably not asking Jesus whether he believed he was the second person on the Trinity. Rather, he was asking Jesus whether he believed himself to be the messiah — the son of David who was to sit eternally on the throne of Israel, for the son of David in the Hebrew Bible was also seen as the ‘son of God’ (2 Samuel 7.14). Jesus’ response implied that he did believe this. But even more than this, Jesus appealed to the image of the Son of Man in Daniel 7 — an apocalyptic image of God’s chosen one who would bring about the end of the world order and establish God’s eternal kingdom. In the eyes of the authorities, this was an admission of revolutionary intent. Jesus was found guilty, given a beating, and sentenced to death. Since the Jewish authorities at this time were unable to exact the death penalty (it had been revoked by Rome a few years earlier), Jesus was hurried off to the Roman Prefect, Pontius Pilate. If they wanted Jesus dead, they would have to ask Pilate to enact the death penalty. Politically, Pilate was fighting battles on two fronts. On the one hand, Pilate was probably a protégé of Aelius Sejanus, who had been running the Roman Empire for a few years while the emperor, Tiberius Caesar, enjoyed a leisurely lifestyle on the Italian isle of Capri. However, in October, AD 31, Sejanus was executed for conspiracy against the emperor. Anyone connected to him was now also under suspicion. Pilate, therefore, would have had to watch his steps very closely to demonstrate unambiguously that he was loyal to Tiberius Caesar. On the other hand, though, Pilate had to maintain face and an air of authority over those he governed. In the years before Sejanus’ ignominious death, Pilate had thrown his weight around in various displays of power. Amongst those he needed to keep in check were the Jewish temple authorities. One of the ways he had managed to do so was to plunder the temple’s treasury for public works, and to keep the High Priest’s ceremonial garments under lock and key in the Antonia Fortress. These measures were belittling to the Jewish temple authorities and told them in no uncertain terms who was boss. So, on the morning of Friday, April 3rd, AD 33, the Jewish authorities brought Jesus to Pilate to seek the death penalty for him. Normally, it would appear that the Jewish authorities were in the position of grovelling subordinates, and thus for Pilate to agree to the death penalty would simply be a show of his own authority. However, Pilate also had to contend for his own reputation now that he was in the spotlight after Sejanus’ death. He could not afford to show any weakness before those he governed, and acquiescing to their request could now be interpreted as just such a weakness. And yet, he could not be seen to be letting a potential revolutionary go free either. That would endanger his standing with the emperor. Accordingly, Pilate attempted to hand the decision over to someone else — to Herod Antipas, tetrarch of Galilee and Perea, who was in Jerusalem at the time. However, the move backfired. Jesus was returned to Pilate, who now had to make a decision. Not wishing to imply that he was vulnerable or susceptible to weakness, Pilate himself questioned Jesus, flogged him in a display of Rome’s discipline, and was then on the verge of releasing him. Pilate seems to have been convinced that Jesus was harmless. Jesus had been separated from his followers, was unarmed, and did not really hold any human power. By thus overriding the request of the Jewish leaders for the death penalty, Pilate was stamping his authority over them. Pilate summarily ordered the execution of Jesus. 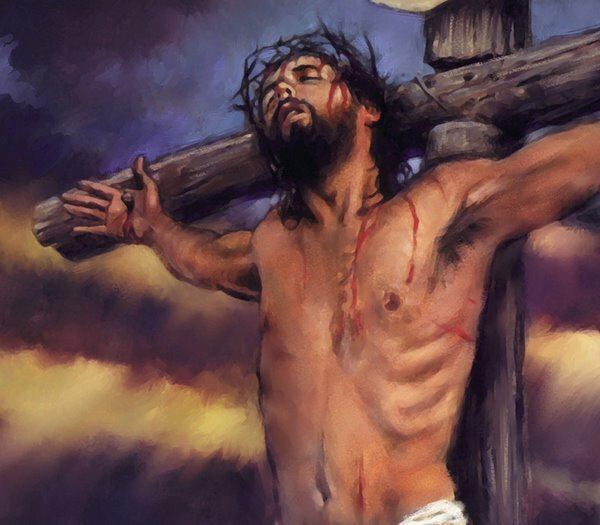 He was led outside the city walls of Jerusalem with two other condemned criminals, stripped naked, and barbarically nailed to a cross where he was left to die a searingly painful death. The charge against him? Jesus of Nazareth: King of the Jews. On the surface of things, it seems that Jesus was in the wrong place at the wrong time — a victim of circumstance, crushed by political machinations that were far bigger than he could humanly control. Some have pointed to the apocalyptic outlook that Jesus had, in wanting to draw the old order to a close and establish a new order, concluding that it was idealistic, unreal, and fraught with danger — that his beliefs and motivations just got him in too deep. Indeed, one can understand why most of his followers abandoned him and became so disillusioned by his death. He was an apparent failure. All the expectation surrounding him had come to nought, and like so many others before him, he fell foul of theauthorities and lost his life because of it. But history also tells us something else. It tell us that not long after these events, Jesus’ followers—his eleven remaining ‘commissioners’ and other hangers-on—reassembled and began boldly proclaiming that on the Sunday after his death Jesus had emerged from his tomb alive again. And despite attempts to silence them by the very same authorities who had arrested Jesus and ensured his execution, they continued to proclaim the resurrection of their master. He had not been a failure. He had been a fulfiller. He had indeed brought the old era to an end and inaugurated a new one, but had done so in a way that no one had anticipated: through his death. The Acts of the Apostles tell us that on one occasion, after being reprimanded by the Jewish authorities, Jesus’ followers prayed to God affirming, “In this city, both Herod and Pontius Pilate, along with the Gentiles and the people of Israel, conspired against your holy servant, Jesus, whom you anointed, doing what your hand and your plan had predestined to take place” (Acts 4.27–28). This had been no accident of history. In fact, this was what God had been mobilising all of history towards: the death and resurrection of Jesus. It was a moment of supreme fulfilment. This was the central moment of human history that held significance for every man, woman, and child who has ever lived or ever will live. The final bell on the old order, characterised by sin, death, hate, hostility, and human failure, had sounded. The new era of forgiveness, life, love, peace, and reconciliation was now dawning. Jesus had not only met expectations, he far exceeded them. 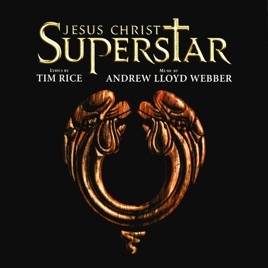 ¹ This is not an endorsement of the ‘theology’ of Jesus Christ Superstar (in fact, I have major problems with some of it). It’s merely an acknowledgement that I enjoy it as a musical and thematic experience, just as someone might really enjoy a movie without endorsing all the action that occurs within it. Appreciation does not necessitate agreement. Have we found a stone block from the Actual Second Temple Building? Israeli archaeologists have discovered an unusual stone among the many making up the Western Wall in Jerusalem. The Western Wall is the only remaining structure of the Second Temple that was lavishly refurbished by Herod. The stone in question was discovered beneath the soil at the lowest foundations of the Wall. What’s so unusual about it? All the large stone blocks used in the Western Wall are ‘bossed’ masonry. That is, they have a carved margin around the edges that give the blocks a sense of depth. But this one particular stone lacks the margin, making it unique. This stone came from the Temple Mount, from the surplus stones that were used in the construction of the Temple itself. Those stones were high-quality, chiseled and smooth, like this unusual one, which was discovered among the Western Wall’s foundations. This stone was intended for the Second Temple, and stones like it were used to build the Temple — but it was left unused. The builders of the Western Wall brought it down here because it was no longer needed up above — and this is how the other stones of the Temple looked,” he says, adding, “Anyone who passes a hand gently over this stone feels a slightly wavy texture, just like the Talmud describes. In other words, Shukron believes that this stone block was originally meant to be part of the actual temple sanctuary building—the heart of the entire temple complex. As the report on Israel Hayom states, Shukron ‘led the Antiquities Authority’s effort to expose the foundations of the Western Wall in the Jerusalem Archaeological Park, an effort that was funded by the Elad non-profit organization.’ Elad, also known as the Ir David Foundation, exists for the purpose of strengthening the Jewish connection to Jerusalem. In other words, it is not a scholarly organisation, but a political one. The interpretation of finds that come from Elad-sponsored efforts must bear this political aim in mind, and realise that there is almost always an alternative interpretation. In this particular case, interpreting a stone block as being from the temple sanctuary building could easily be seen as a political claim to the Temple Mount, which currently hosts the Islamic holy places of the Dome of the Rock and the al-Aqsa Mosque. It seems clear now that the Western Wall was not built during the reign of Herod himself. As Shukron and his colleague, Ronny Reich, observe, coins found in the soil used to cover the structures over which the Western Wall was built were minted in the time of Valerius Gratus, the Roman Prefect of Judea from AD 15–26 (the predecessor of Pontius Pilatus). In fact, the coins can be pinpointed to AD 17/18, giving us a date for the beginning of construction at the Western Wall. Shukron and Reich argue the wall was then completed in the time of Agrippa I (AD 41–44) or Agrippa II (48–66). However, the sanctuary building at the top of the temple complex was begun by Herod long before this in 19 BC. John 2.20 states that the temple took 46 years to build. This probably refers to the building of the sanctuary itself rather than the entire complex. Construction throughout the complex continued right up until AD 62—just four years before the outbreak of the Jewish Revolt would eventually see the destruction of the temple complex. So if the sanctuary took 46 years to build, and began in 19 BC, we can date its completion to AD 28. This overlap allows the possibility that a stone intended for use in the sanctuary ended up buried with the foundations of the Western Wall. Shukron’s theory is possible. Shukron notes the high quality of the stone when surmising it came from the temple building. Yet perhaps it came from another building within the temple complex, rather than from the sanctuary building itself. After all, the temple complex was enormous and, well, complex. There were numerous courtyards, rooms, and gates throughout it. There is every possibility that the stone had been intended for use in one of these peripheral structures. Another plausible theory is that the stone in question was a surplus block not from the sanctuary at the top of the complex, but from the Western Wall itself. Perhaps the stone was not needed in the construction of the wall, and so the masons did not bother carving the bossed effect, and ended up burying it rather than trying to haul it elsewhere. These were, after all, giant blocks of stone that took considerable effort to move in a pre-mechanised world. The extensive Holyland model (scale 1:50) of first century Jerusalem includes the temple complex as it would have looked at its completion. Pictured here is the large sanctuary building and surrounding courtyards. The Jerusalem temple was the largest sacred compound of its day. 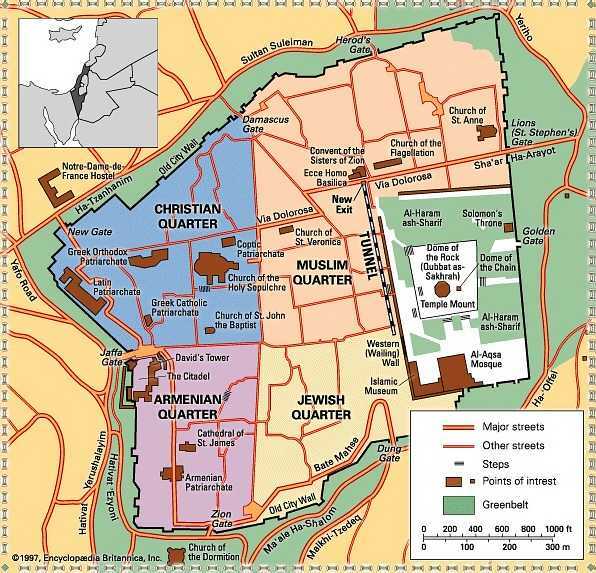 Map of modern-day Jerusalem’s Old city, showing the location of the tunnel in which excavations at the base of the Western Wall of the Temple Mount are being conducted. Quotes and information about the recent find came from Israel Hayom. HT also to Antonio Lombatti. Here’s a short clip of Ronny Reich (Haifa University) explaining his understanding of the recently found Jerusalem seal. You can find my interpretation here. One thing that puzzles me about the recently discovered seal from Jerusalem is its Aramaic inscription. The seal reads דכא ליה (‘pure to Yah[weh]’), and evidently has some sort of ritual significance. Shukron and Reich argued that the seal was probably placed on objects to certify their purity and, therefore, declare them fit for use in the temple. The one thing that surprises me about this, however, is that the inscription is clearly in Aramaic, not Hebrew. This would be highly unusual for a priestly item. Deutsch offers an alternative theory that the seal was a token used in the monetary exchange for a libation offered in the temple. The use of Aramaic in this case would make more sense, as a lay person was involved in the exchange. However, the phrase ‘pure for Yaw(weh)’ seems a little peripheral to the exchange itself. I want to propose a slightly different understanding of this little seal. We know that the moneychangers in the Jerusalem temple exchanged ordinary coins with Tyrian silver coins. These Tyrian coins were noted for the purity of their silver. While most silver coins in the Roman Empire were only 80% silver, the Tyrian coins were approximately 94% silver—the highest purity level of all coins. They were, therefore, deemed as fit for monetary exchanges in the temple, as well as the collection of the famous half-shekel temple tax. On their obverse, these coins bore the image of the Tyrian god Melqart (Olympian Herakles), also known as Baal Zebul (‘Eminent Lord’). The Jews often referred to this deity pejoratively as Baal Zebub (‘Lord of flies’). The reverse bore the image of an eagle. Both images were prohibited under the Mosaic Law. However, it was generally agreed that the purity of the silver outweighed the fact of the coins’ images. It was, after all, virtually impossible to find aniconic coins (i.e. coins without images on them) in antiquity, and the Romans never allowed Judea to mint aniconic coins, since it would be deemed too much autonomy. Control over the minting of coins was very important, since, like today, it signified political and economic sovereignty (this is why the Jews began minting their own coins during the Bar Kochba Revolt in AD 132–135). 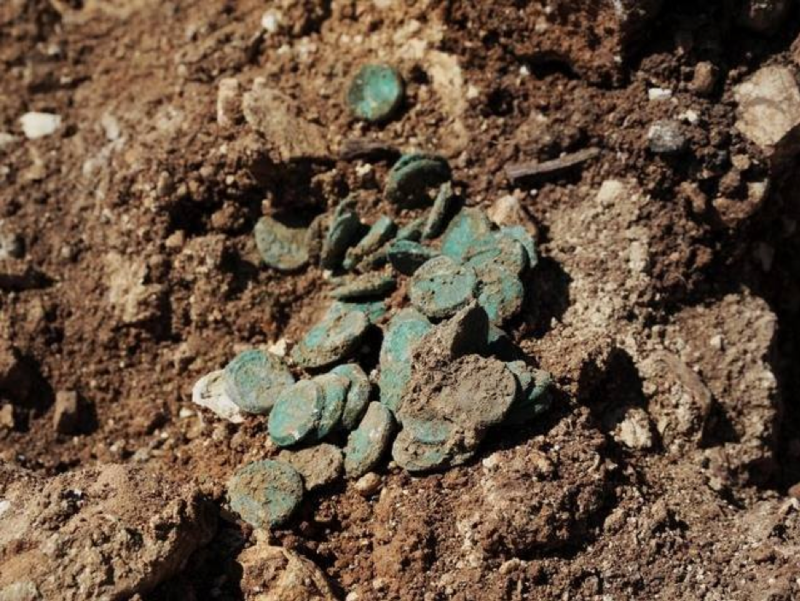 The Tyrian coins were minted in Tyre for over a century, until the Romans closed the Tyrian mint in c. 18 BC—just after Herod’s renovation of the Jerusalem temple began. The coins, however, continued to be minted, although exactly where we are unsure. In any case, the continued minting of these coins meant that Tyrian silver was deemed the official currency of the temple in the first century. A Tyrian Silver Shekel (c.115 BC) showing Herakles on the obverse, and an eagle on the reverse. Since all monetary purchases in the temple were made in Tyrian silver, it seems reasonable that there was some kind of system in place to guarantee that pilgrims were using the correct currency exchanged at the temple. The recently discovered seal from the Old City of Jerusalem may have served this purpose. A pilgrim would come to Jerusalem with whatever coins they had, and would go to an officially sanctioned moneychanger in or near the temple complex. They would hand over their coins, receive Tyrian silver in exchange, as well as a token (the seal) guaranteeing the purity of the silver they were receiving. Whether the seal was given loosely or attached to a bag in some way is not known. However, the token was written in Aramaic so that a lay person (a pilgrim) might understand that they had received pure currency that was officially endorsed by the temple authorities. The pilgrim would then take these Tyrian silver coins, along with the accompanying token, and use them to make purchases, such as sacrificial animals or libations, within the temple itself. In other words, the recently discovered seal from Jerusalem is a currency exchange token enabling the bearer to make purchases within the temple. A small clay seal (bulla) has been unearthed during excavations in the Old City of Jerusalem. The button-sized seal dates approximately to the first century AD—close to the end of the Second Temple Era. It is inscribed in Aramaic with the words דכא ליה, meaning ‘pure to Yah(weh)’. This almost certainly suggests the seal was originally from the temple complex. 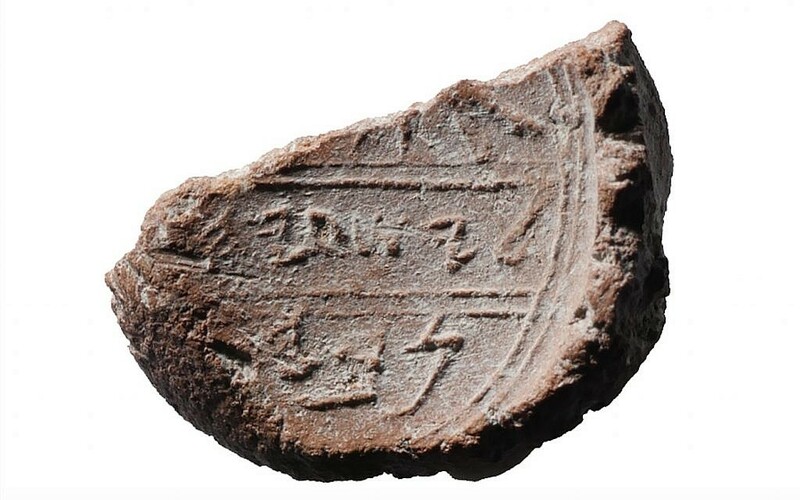 Archaeologists Ronny Reich and Eli Shukron have interpreted the seal as something that temple officials placed on an object, such as a jar of oil, to mark it as fit for ritual use within the Jerusalem temple. The Mishnah documents the purity standards that were likely used in the temple, and stipulates the use of such seals. Robert Deutsch, however, has a slightly different interpretation. According to Deutsch, the evidence of finger prints on the back of the seal precludes it from being something that was pressed into objects for ritual use. Instead, he points to a different passage in the Mishnah (Kedoshim, Tamid 3.3) that mentions a ‘chamber of seals’ in the temple. A pilgrim wanting to offer a libation at the temple would hand over money to one order of the priests in the chamber of seals, in exchange for which they received a token. This token was then given to another order of priests as proof of payment for a libation, and the libation was subsequently offered to God on the pilgrim’s behalf. Deutsch interprets the recently found seal as one of these very token. My personal opinion? I like Deutsch’s explanation except for one thing: I can’t see how the inscription on the seal (‘pure for Yah[weh]) relates specifically to the ritual transaction described in the Mishnah. I tend, therefore, to favour Reich and Shukron’s understanding. But what surprises me about this is the use of Aramaic rather than Hebrew for something that appears to be rather priestly in nature. Whichever way it’s understood, it seems almost certain that this tiny little find is one of the few physical artefacts that confirms documentary evidence of ritual practice in the Jerusalem Temple.